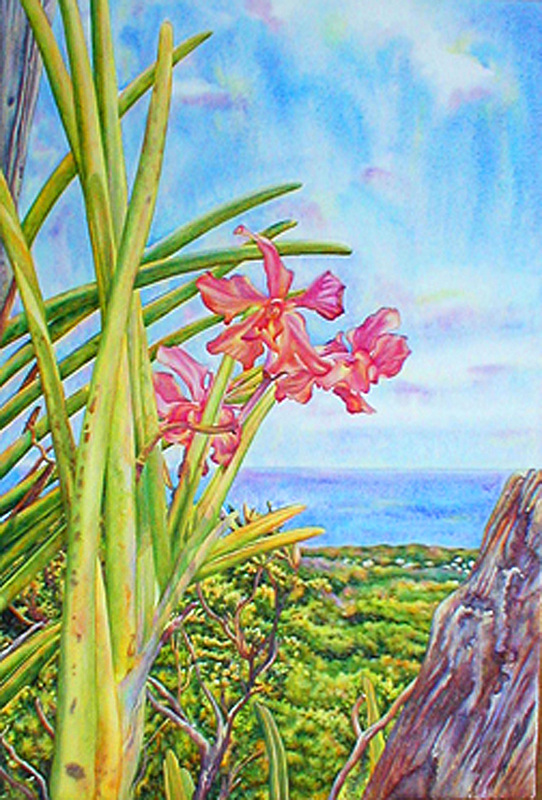 This orchid plant overlooked the coastline of St. Mary, Jamaica from the property of Rock Cottage where I had the great privilege of living for a number of years. Needless to say, the arrangement was just waiting to be captured on paper! This is a limited edition of 250 giclée prints on watercolor paper. The original watercolor painting, Orchid by the Bay, has been sold.